Automated Grip Force Assessment at ist best. 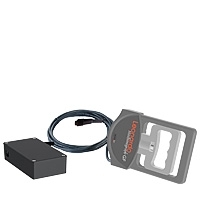 Leonardo Mechanograph® GF consists of the Leonardo GF Sensor and a data acquisition module which is connected via USB to a PC. Leonardo Mechanograph® GF can therefore be used as a stand-alone device or in combination with other Leonardo Mechanography devices.